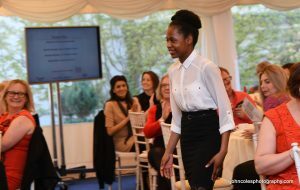 The Rising Star in Secondary Education Category, sponsored by Coventry University, is aimed at young women currently in full time Education or equivalent. These young women are our Rising Stars of the future and are currently studying at School or similar educational establishment. They may not realise just how good they are! They may be doing something extraordinary in their spare time, have overcome challenges and they are definitely the ones to watch in the future. These young women deserve recognition for their achievements, ability, drive and determination. This award is not about academic achievement but recognises other achievements too. You will be studying at School or equivalent. You will be a true asset to your educational establishment. You are successful in your studies and you are really going places in the future with your chosen career. You truly deserve the recognition for your achievements to date both inside and outside of your chosen study.